Hi and Welcome! Glad you made it to my blog. I guess you clicked on this part of my blog because you wanted to know a little bit “about me”. I can start with the obvious, I run. This is still a rather new adventure for me, I have been actively running races since 2010 and I have the passion to compete and get stronger setting goals and trying my best to actually hit them or at a minimum learning something from the experience. 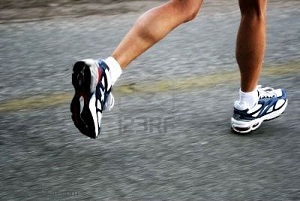 I love the freedom running brings and the feeling I get when I have just completed a running goal. The training is okay too because without it, I would never reach my new goals. So that is the running part, the therapist part is that obviously I am a therapist for my work but I feel like I have been one my whole life. I just finally obtained the credentials to do it and get paid. I love working with people and my hope is that this blog can be an extension of this passion. I am blessed with a loving supportive family and a great group of friends who have helped me throughout my life which has included my own mental health diagnosis of PTSD. But I am a survivor and I continue to press on and through my challenges I am hopefully able to help others. All of the moments of my past have made me ready for this moment in my life right now. I dedicate all of my ramblings to my family because now that I have this outlet, they can just read about my thoughts (when they want to) instead of listening to them non-stop when I want to tell them. I hope you enjoy the blog too. Please feel free to give me feedback and let me know your stories too. You have a great blog! Keep writing. Thanks for stopping by Warrior Poet Wisdom! Hi runner, I came across your blog via Kozo’s. Wishing you a most joyous New Year and look forwards to sharing ideas and posts with you. Be well! Glad you found me. Hope you enjoy my future blogs. Happy 2013 to you as well. I enjoyed reading your interesting blog. I have never heard of a running therapist before stumbling across your site. Thanks so much. I’m glad you enjoy the blog. you remind me of myself! look forward to more!